…comes Brexit! Another prime example of why sometimes referenda are NOT a good idea. I am a big fan of the late great Sir Terry Pratchett, who wrote that the mind of a mob is equivalent to the IQ of its stupidest member, divided by the number of people in the mob. This is all fine – democracy in action no less! – when you are voting online to name an arctic explorer boat. I LOVE Boaty McBoatface and I love that that was the name the good people of Britain chose. I mean, why not? It’s not like the fate of the whole country depends on it. Wait, what? The Leave vote actually won. It’s a week later and I am STILL incredulous. And angry. (in fact, I was asked to look angry and pose in front of the cafe for the local paper’s piece on Brexit here) I know I can sit here in Canada smugly watching it all crumble, safe in the knowledge that it doesn’t really affect me here – we made our escape in time, but it DOES affect my friends and family and everyone I know over there. And it’s really scary! So, in my opinion, the referendum should never have happened in the first place. Nothing this important with so many far-reaching and unpredictable consequences should be decided on without a very deep understanding of the issue, which, lets face it, very few people have. For all it’s benefits, the EU remains a faceless, impenetrable behemoth of bureaucracy and I’m sure not even the people who work there fully understand how it all works. The fate of Britain’s place in it definitely should not have been decided as a result of a popularity contest between old Etonians, or as a result of lowest-common-denominator scare tactics in the tabloids. Let’s backtrack a bit. Buttock-headed posh boy David Cameron panicked about losing votes to the further-right wing UKIP party before the last general election. In order to appease the swivel-eyed loons of Nigel Farage’s party, he said if his Conservatives were reelected in 2015 then he would hold a referendum on whether or not Britain should leave the EU. To his credit, he campaigned to remain in the European Union, unfortunately, even members of his own party wanted to leave. More significantly however, it shoudl have been clear even then that there was no actual plan to leave. 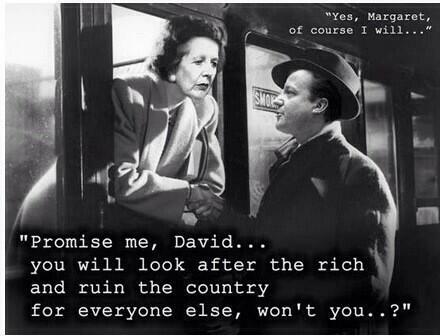 Cameron promised to hold the referendum, he never promised to uphold the results of it. To make the referendum legally binding, he would have had to pass it through Parliament beforehand – the commons and the lords would have had to debate it and agree to implement the results of the referendum before it was held. He didn’t do this. I genuinely believe no one in cabinet or in the higher eschelons of power actually expected the Leave vote to win. Sure, it would be close and there would be ample excuse for UKIPers to embarrass themselves with incoherent rants on Question Time in the run up. But common sense would inevitably prevail, Remain would win but democracy would have been seen to be exercised and that should have been an end to it. Even better, there would still be a sizeable minority of people who still wanted to leave, and they could have been represented by Boris Johnson, who was quite obviously lining himself up for the PM’s job. But BoJo, Gove and Farage actually won – and they seem as incredulous as I am about that. They’ve even admitted that most of their Leave campaign promises were blatant lies. And now it’s obvious that they don’t know what the hell to do next. Meanwhile, all the vile racist lice have come out of the proverbial woodwork at the call of frog-faced Farage, race-hate crimes are up all over the country, Sterling has nose-dived against the dollar (both the US and Canadian), whole regions like Wales, Cornwall and the North East suddenly realise that they quite liked getting all their development funding and subsidies, and now expect the government to reemburse them for those losses, oh and Nicola Sturgeon is (rightfully) calling for another Scottish independence vote that will no doubt actually break up the UK. Simple splendid news, eh Boris? So, Cameron resigned – before invoking Article 50 which actually commits us to leaving the EU. *slow claps* Well done you utter twonk, well played. This means, whoever takes over is faced with the concept of trying to negotiate their way through the total omnishambles that is the “exit strategy” AND getting Parliament to pass the invoking of Article 50, OR seemingly ignoring the democratic will of the people and not leaving the EU (which may be sensible but it is political suicide), OR, giving up and calling a general election – when neither party have any semblance of a plan nor any plausible platforms to run on. Did I mention the Labour opposition party have basically imploded? There is no functional opposition to the Etonian oiks….. So, what should happen next? *Someone* needs to take charge – no idea who that should be though because they are all as bad as each other. How about Tim Farron for sake of argument? Let Parliament or the Lords quash the referendum in as dignified a manner as possible and lets pretend this whole sorry mess never happened! A lot of the Leave votes were protesting against the faceless, unaccountable and undemocratic forces that be in Brussels, so it’s fitting that the decision to remain should be made by our own faceless unaccountable and undemocratic house of Lords. Keep it British! Anyone heard about the London Protests? Thanks to the seven hour time difference, Carl and I were able to watch the whole of the UK election last week in real time – the first time we’ve managed it without falling asleep, and I now have a new respect for the BBC teams who had to make sensible sounding comments on the whole thing all night and right round until about 7am Friday morning. I am severely sleep deprived too, so the thought did occur that I might be hallucinating the results, or maybe it was part of a nightmare… but no. The Tories “won” and actually achieved a majority government. That is to say, they achieved a majority under the First Past The Post system. In actuality, they got about 37% of the vote, meaning nearly 2/3rds of the voting populace voted against them – a figure that corresponds far more closely with all the polls that were conducted in the preceding six months or so. The LibDems got LibDemolished, and Labour pretty much crashed and burned as well, though no so dramatically. The same system unfortunately left the Greens (1.1 million votes) with only 1 MP, the Scottish National Party (1.5 million votes) inexplicably with 56 MPs and (fortunately) UKIP with 3.3 million votes and one lone MP. Whatever your views, the fact that this system is completely inadequate should be painfully obvious. Sadly, the same thing happens in every election… I’m sure I was saying the same thing 5 years ago. So, the Tories have been officially in power on their own (I mean, without being propped up by the spineless LibDems in coalition) for just five days. In that time, they have announced that the new Justice Minister, Michael Gove (who has no experience whatsoever in Law) wants to scrap the Human Rights Act, backed by his colleague Dominic Raab, who thinks feminists are “obnoxious bigots”. Add to this, making Caroline Dinenage, who voted against gay marriage, the Equalities Minister, and a new Minister for the Disabled who seems to be against any sort of disability or welfare benefits (Justin Tomlinson) and you have a highly toxic cabinet already. Then there’s this new, suspicious and badly thought-out “anti-radicalisation” legislation – which from my psuedo-Canadian perspective now sounds a lot like the loathsome C-51 bill that Harper has just pushed through and that Trudeau voted for (ooh look, Liberals propping up Tories! Where have we seen that before?) I wrote about the Tory’s inappropriate cabinet appointments back in Sept 2012 – HERE – but I actually think this new cabinet is actually worse. All this in FIVE DAYS. What are the next five YEARS going to be like? Leaving aside the failings of First Past The Post for a minute, I still can’t really comprehend how these idiots actually gained any votes at all. Who would intentionally vote for further cuts to public services and more austerity measures? Who would vote for a party promising FEWER Human and civil rights? Yet some people clearly did. I get that the point of an anonymous vote and secret ballot is that you don’t have to tell people who you’re voting for, and if people really were (rightfully) ashamed of voting Tory, they probably could have just told the pollsters one thing then voted for the opposite. Does that look like a response to a respected, wanted government who have just won a landslide majority? I admit, I didn’t actually use my vote – we are still elligible to vote in the UK, but doing so is amazingly complicated and, as demonstrated by the FPTP system, would have been a wasted vote anyway. So I guess I can’t complain. I am angry though, and I am scared for the people still stuck there. Two friends have already asked if I will employ them as baristas and allow them to emigrate over here…. I did point out that we are governed by Tories too, (the OxyMorons – “progressive conservatives?! WTF?) but so far, they seem slightly less dangerous and destructive in comparison. I don’t believe that our dose of democracy should be limited to one X on a piece of paper every five years, especially if that X gets lost in a FPTP system. 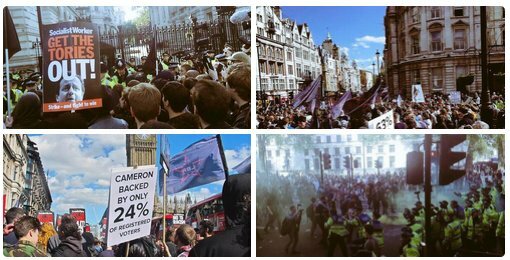 Democracy is far more than that – and it includes the right to protest, so good on those who took to the streets in London! I’m just sorry that I only caught on to it after the event and only via Twitter!! It’s too peopley out there! We are on a plane returning home via Toronto, from Heathrow. I still like saying Home, from Heathrow. Gone are the days when landing in London signified the end of a trip! The Canadian adventure continues. However, I am still sad to be returning home, because we have had a wonderful two weeks with The Parents and rushing around all over the UK trying to catch up with friends and more distant relatives. Worse, it’s New Year’s Eve and British Midnight will happen for us in mid-air between Toronto and Regina during our internal flight tonight. Canadian New Year will happen at what we’ll think is 6am tomorrow morning. I doubt we’ll be in a fit state to celebrate either! 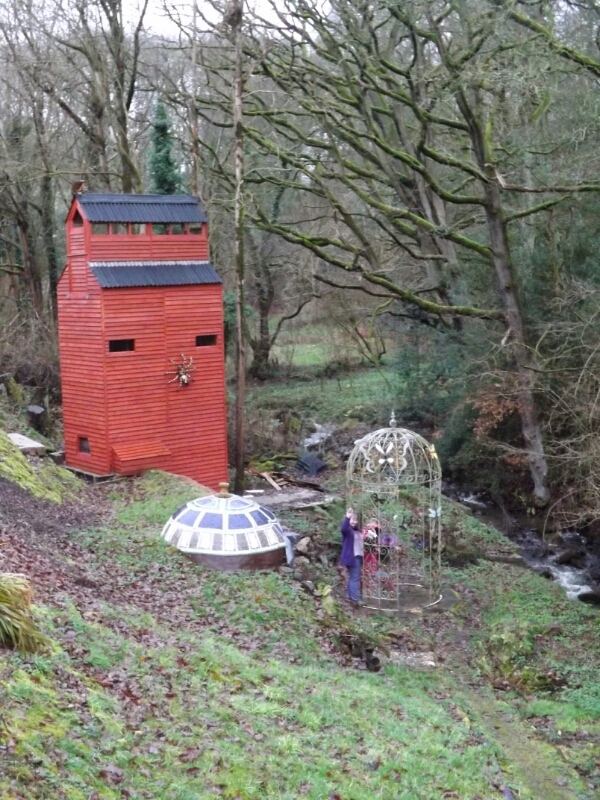 Seeing Granny and Grandad for Christmas was lovely, and it was nice to see all the new weird constructions and eccentricities in their garden, including the newly finished, 24ft high grain elevator (sans grain). My cousin Ol, good friend Hannah and Honourary Auntie Cathy all visited the weekend before Christmas and it was a lot of fun having a large houseful. Ol has already been commissioned to design them a suspension bridge to join the bank to the top of the grain elevator tower, as you do. Hannah was enchanted with everything in the strange parental abode, from the gargoyle that looks like Ol, to the politically correct snowman on the tree to, for some reason, Mum’s 30 year old dinner plates. The mind boggles. It was very, very noisy! Hannah insisted we go out for a walk to find a stone circle on the top of a hill. Whereas I will admit it wasn’t actually raining and wasn’t nearly as cold as Saskatchewan, it was wet and muddy and blowing a gale and a thoroughly unpleasant experience for everyone involved except perhaps Hannah, and Miranda who complained and wanted to be carried until she found Interesting sheep poo. Hill walking. Not my thing. At all. We collected Grem and new girlfriend in Richmond a good deal later than planned. Next stop was Redcar: featuring the local speciality, the Lemontop icecream, stunning views of the offshore windfarm, nuclear power plant and steelworks, a desolate stretch of beach on the north east coast, a 99p store (now closed down)a usefully located Wetherspoons, and most importantly, home to the wonderfully welcoming Chapmen clan. The girls are now much bigger and more Northern sounding (Miri, with her neo-Canadian accent, amusingly stated that Ione “sounds silly”, in fact, “everything is silly here” according to her!) 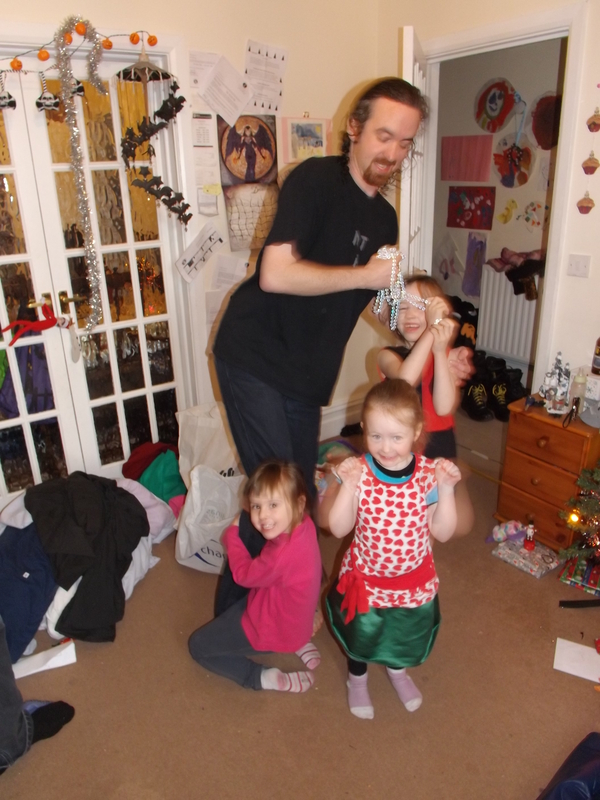 The kids stayed with poor Rachel who had to endure watching Frozen AGAIN, while we headed to the Wetherspoons to meet as many Northerners as we could find. We got 8 together eventually, and it was great to see everyone again after nearly 3 years. We’re just sorry it was such a short evening! On the way back, we stopped near Pontefract to meet Carl’s family, none of whom I’d never met, and most Carl hadn’t seen in 30-odd years either. They all thought Miranda was wonderful, and took great interest in Carl’s now pretty extensive family tree he’d been researchjng. It is very very wide. He has a LOT of cousins. Ah, the joys of Facebook and Ancestry.com. Perfect for emigrants! After a day to recover, we headed to Birmingham to meet Julie and deliver her Canadian ex-pat care package of Goldfish crackers and strawberry Twizzlers. Mercifully, we opted to take the train rather than drive, because the city was packed with people. Miri was rather excited about her first memorable train ride, too. In true Christmas spirit, we went skating! It was an artificial rink obviously and extortionately expensive particularly when we’re used to Regina’s lovely free one with free skate hire back home. It did have large plastic penguins that you pushed around that helped Miri stay upright, and Birmingham being a very multicultural city, we also got to witness a woman on skates pushing a penguin round, while wearing a full burka. Not something you see too often in Regina!! 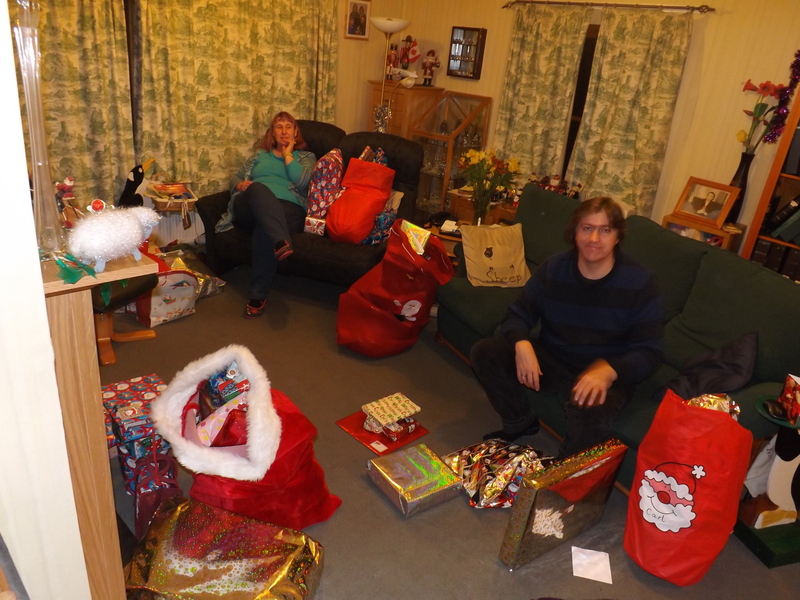 Christmas itself involved the usual festive gluttony and cheeriness and manymanymany presents were received! (thank you, all!). The problem is, we received a greater volume than we gave out, and so we had to borrow a suitcase off the parents and pay an extra baggage fee to get them all home! Unpacking them will be good, because I’m sure Miranda got so many she didn’t even see some of them. 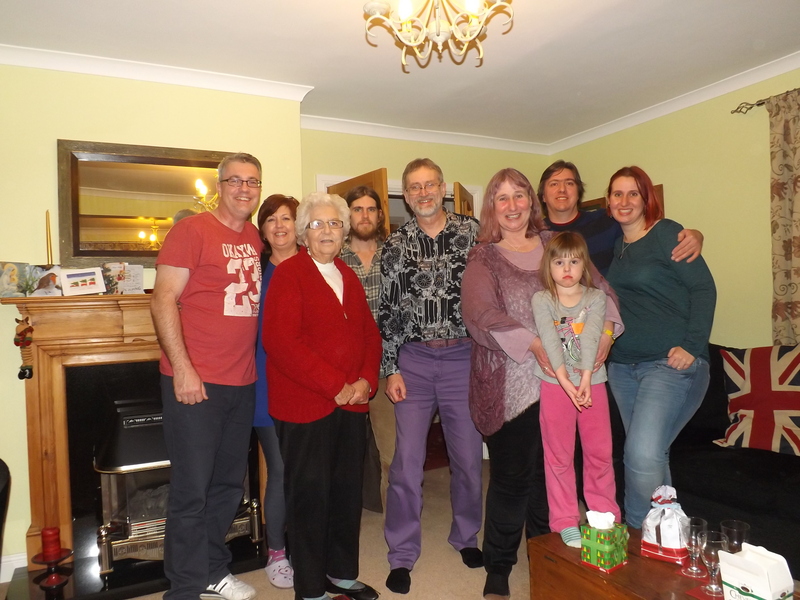 As soon as we’d recovered from the festive food comas, Mum drove us all down to see my nan and family in Sussex, via a short stop at my aunts on route. 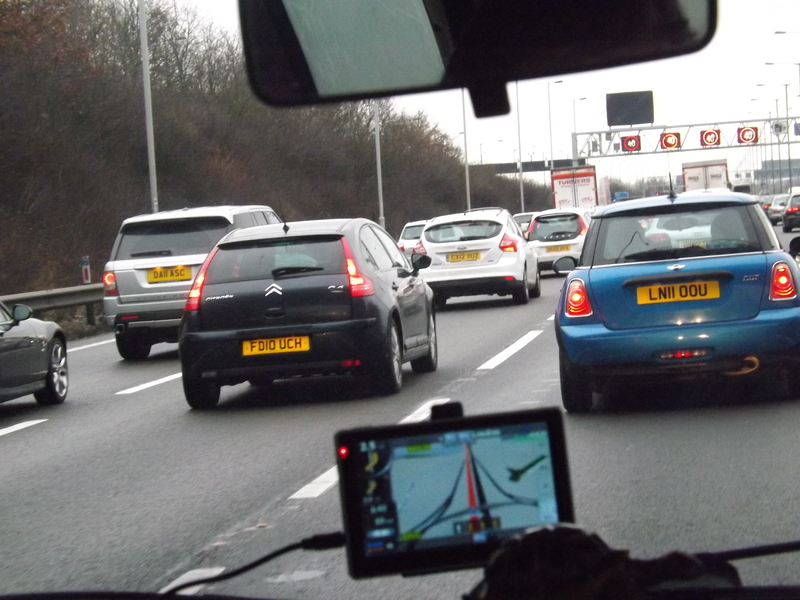 There were very long traffic jams… Nan couldn’t put all of us up at her house, so Carl, Miri and I stayed at a Premier Inn down town. Comfy enough, but with an oddly smelly hallway. Also, if one of us left the room with the key, the others were left sitting in the dark, as you needed the key card to keep the lights on! Bizarre. On Sunday we visited my step gran, my uncle and then another aunt fed us in the evening. Miranda charmed her honourary great uncle and big cousin Paul into playing Hungry Hippos all evening which was fun (from a safe distance!). After that, we took a double decker bus into Brighton (another touristy thing that got Miri very excited!) and went round the Sealife centre there which she thoroughly enjoyed. She even got to meet Kwazii the Octonaut! (If you don’t know what that means, I shall spare you the explanation!). Brighton was also very busy and we struggled to find somewhere to sit and eat cos everywhere was full up! Best of all though, I got to meet up with Mice, a friend from school, who I haven’t seen for over 7 years. She’s doing well, still recognisibly Mice, and we’re hoping it won’t be another seven years before the next get together. Finally, on our last day we went up to London on an eyewateringly expensive, horribly early train, to take Miranda to the Natural History Museum and the Science museum in South Kensington. The museums are both free, but it being school holidays, the queue was round the block even though we’d arrived before the place had even opened! There were more queues inside to get into the dinosaur exhibition, so we may well be the only tourists in history to tour the museum with a child and not see a single dinosaur. Instead, Miri LOVED the volcano section and had two goes on the earthquake simulator. I guess this is what happens with a geologist for a father. So, right now we need a holiday to get over the holiday again, but sadly I have to work on Friday. Uuurgh. Of course, we sought out as many friends and family as we could over these two weeks, (most would never have forgiven us if we hadn’t!) But the whole trip felt Uncomfortably Peopley. I love my People, but it’s amazing how quickly you get used to the relatively sparse population density in Canada. Getting stuck in 3-lane traffic jams heading south, driving in hopeless circles round sheffield, waiting for tables in greasy fish n chip shops in Brighton, queuing and playing sardines on the London underground all came as rather unwelcome culture shock having got so used to small-town-big-space Saskatchewan. 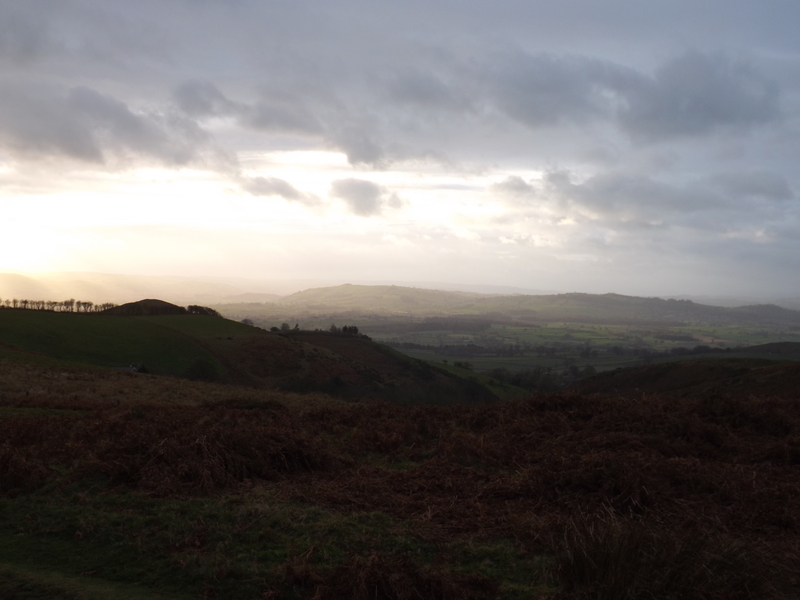 We had a total of two sunny days the whole trip, the rext of the time it was wet and miserable or extremely windy and grey, and there was no snow for Christmas either…. I miss the parents and my friends and family, i miss being able to take Miri into cheap pubs, and I miss Cornish pasties and pork pies, but I really do not miss England it seems. We are still far better off where we are! She speaks of course, of Margaret Thatcher. Her death was definitely reported over here, in fact, because of the time difference, I was actually woken up by the great news on my radio alarm at 7am. CBC Radio 1 did their bit to remain as unbiased as possible but to their credit, they did mention the fact that she wasn’t going to be universally mourned, shall we say. 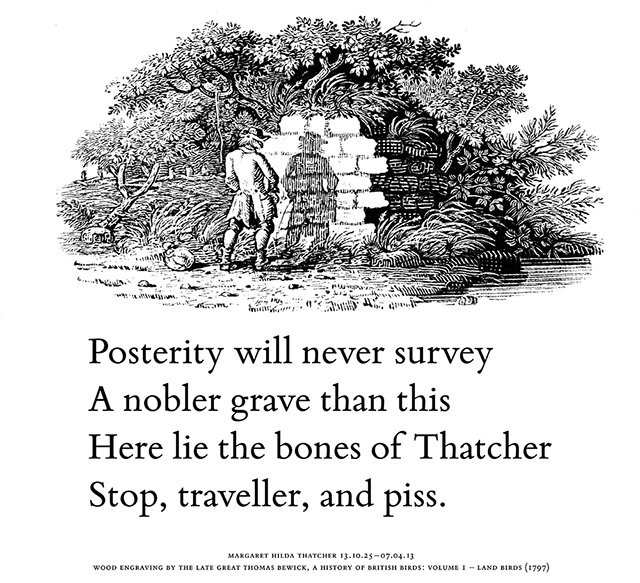 At the very least, the coverage negated the need for me to check http://www.isthatcherdeadyet.co.uk/ . But I still did, because it is funny. (I would be more worried by the Harry Styles fans’ comments, but then, I have no idea who Harry Styles is.) I would say though, that it was not the “best of the web” because that article stayed safely away from the most negative reactions (like my own!) Here’s some of my favourites! I did tweet “Ding! Dong! The Witch is Dead” as soon as I could get to the computer on 8th April, but sooooo many people had beaten me to it already. I was far from being a lone dissenter, even here in Canada. My own tweets were relatively tame in comparison with some of the bile, biting sarcasm and/or righteous indignation that took up most of my stream that day. What took me by surprise was the intense negative reaction that my one little Ding Dong provoked from a few (a small few) Canadian tweeps. So, I should be ashamed for singing a song from The Wizard of Oz, yet the woman who destroyed an entire nation is somehow sanctified in death and hence, untouchable… Interesting use of the word “Classy” too – would that be in reference to Thatcher’s reign over a class war? A balanced retort if ever I saw one. OK, so I am celebrating the fact that an 87 year old woman died. She was hardly going to last forever, was she? But no, apparently being pleased that she finally karked it is Wrong and “grotesque” and shameful, but publicly wishing that an alive, complete stranger gets cancer and dies is a perfectly acceptable. Ladies and Gentlemen, I give you the Tories… Ick. Why does everyone hate Margaret Thatcher? I was under the impression she was a nice PM? Perhaps I am horribly wrong. We informed her she was indeed horribly wrong. And why. With stats. And bulletpoints. And a 43-reason list. And quotations. O.O Weeeeelp, I am quite wrong I see. I really had no idea about this lady. So now I have to get to grips with Canadian politics, as even though the election is two years away, Conservative/Harper attack ads began against Justin Trudeau just a few hours after he took office. I won’t be able to vote then anyway, but I do need to know who I should support! Lets hope Canada never gets a Thatcher! At the very end of January, I (attempted to) resubmit my PhD thesis to Sheffield uni, having attacked all the revisions. This was an extremely complicated process, as it relied on file-sharing with a friend still at the Uni the other side of the Atlantic, persuading her, out of the kindness of her heart, to print 650 pages of the thing and get it bound for me, and meanwhile here in Canada, I had to print off a few important documents, sign declarations, then physically post my signature to England, along with a digital copy of the thesis on CD, then my poor supervisor has to collate the whole thing, sign his part of the forms, then distribute three copies to two examiners and the graduate research office, all without anyone involved actually being able to talk to each other! So, as far as I was concerned, that was the last major hurdle. I feel like there is nothing more I can do to the bloody thing now. It is done with! And so, coincidentally, is Project B, but more on that in a sec. This has of course left me a Gaping Hole in my evenings. I don’t actually like not having any projects or deadlines looming! So it was by happy coincidence that I came across InCoWriMo! A total stranger’s post on Google+ led me to the page of International Correspondence Writing Month. The same principle as National Novel Writing Month – as in, inflicting a deadline and a structure to motivate you into writing something. In this case, it is writing 28 letters, one for every day in February. The emphasis is on handwriting though, and trying revive the dying art of writing real letters and sending them by snail mail. Sadly, I only found out about this on 7th Feb so I had a week’s worth of letters to catch up on already, but I am making progress and I am now only two letters behind. The main difference between handwriting letters and sending them abroad, and emailing people or commenting on their status updates, is that digital/virtual correspondence is Free. 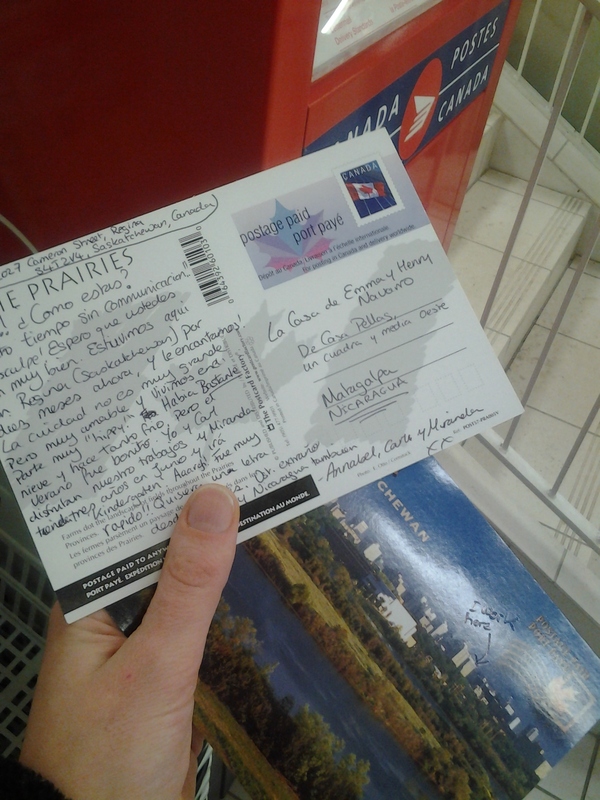 Even if I only send these prepaid postcards to friends in the UK, twenty-eight of them are going to cost me in excess of $60. 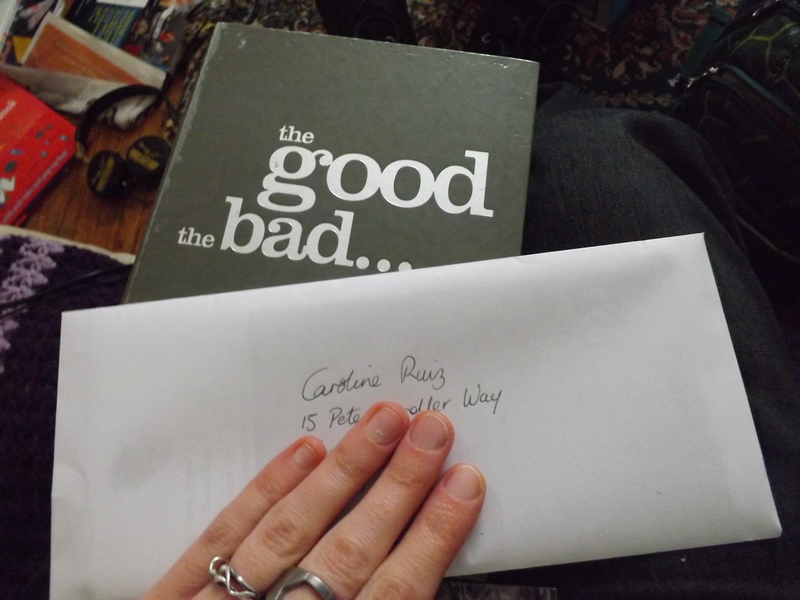 So, I am aiming to write 28 letters, but some of them may not be international, and some of them may be hand delivered…. Here’s some of the ones already sent! Yes it’s from Someecards, and it was to Rachel Chapman Millinery, but I printed it out, handwrote on the back, and posted it in a real envelope! 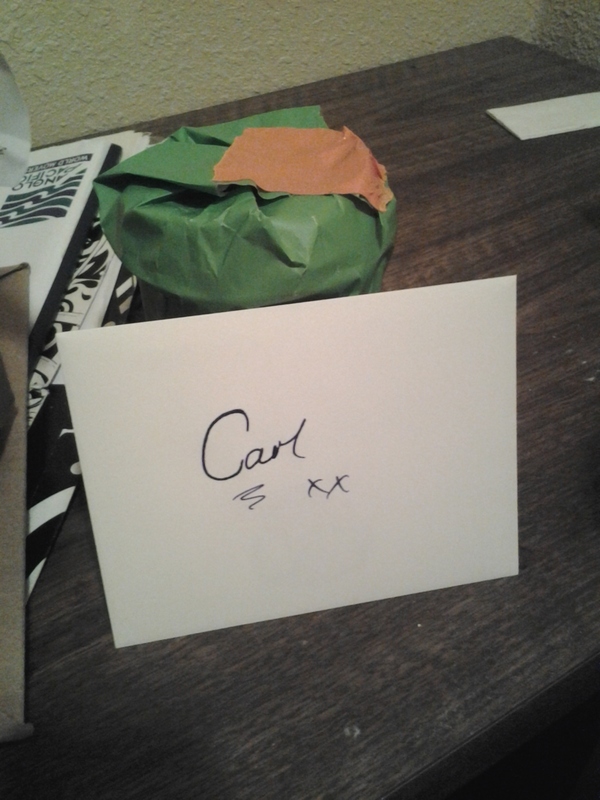 One goes off to DarloBikeGirl in… erm, Darlo, the other is headed towards Nicaragua. First time I’ve written anything in Spanish for ages! Flag going to an American living in England. 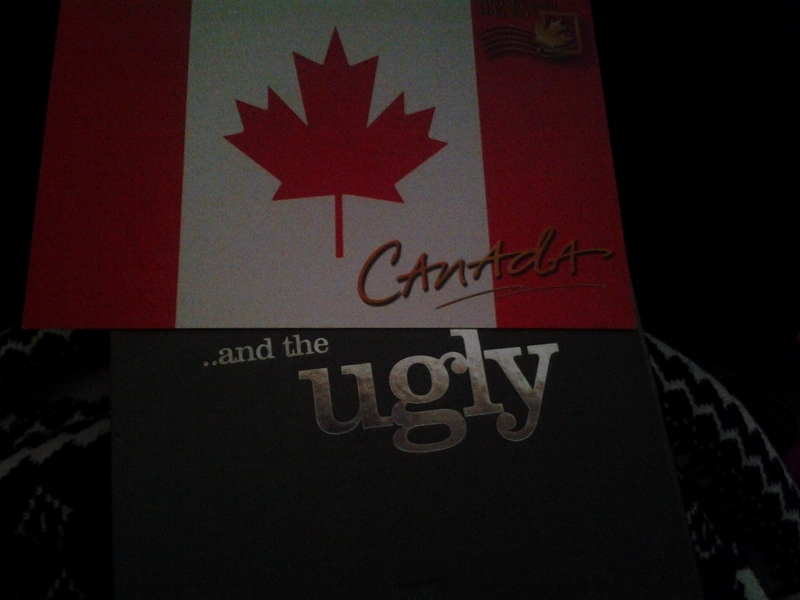 The postcard says it depicts “Canada’s natural beauty” – implying the flag is the best bit?! I wrote a very tongue-in-cheek love letter entirely because there is a chance of me winning stationery – guess who it’s to? My last blog post featured Alanis Morrisette. 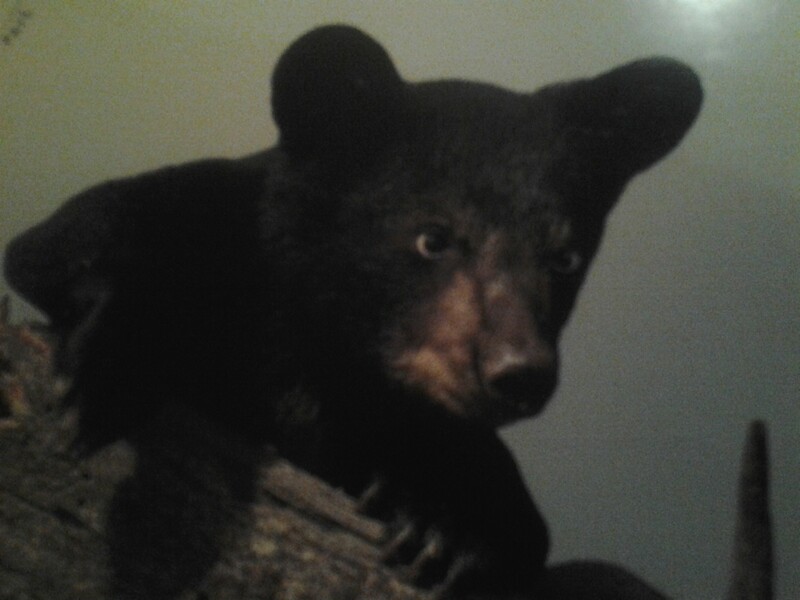 It’s not fair to deny her the cross-eyed bear! Recounting recent highs and lows for Caz.. This year I am failing quite badly, currently 6000 words behind target and seeing no practical way of catching up any time soon. Nanowrimo is the kind of annual event that is somehow bittersweet now. It marks the passing of another year and I can’t help reflecting on all that has happened since the last Nanowrimo. I hear all the adventures of my novelling friends back home – they are all putting me to shame with their word counts any way, but I really miss them all with their daftness: plot bunnies, Chelle the Unstoppable Literary Cyborg, novelling hats, motivational coffees, the efforts to stop Chris writing about zombies, and N’Oscars planning. This year, they all did an epic sponsored 24 hour non-stop write-in raising money for the Blood Bikes service (still taking donations, HERE). I am so proud of them all for such a mammoth, mad effort and I am sorry that I couldn’t join in. Insane as the event sounds, I would have loved to have attempted it with that crew to egg me on. But at the same time, it was all held in my old cafe, and what happened with that place still hurts and upsets me a great deal. So, this year I am determined to keep up with my novel from here in Regina. I even got in the Metro paper about it, unwittingly! The first write-in I attended was in the midst of the worst hangover I’ve ever had in this country; we had a belated Halloween party involving costumes and play dates for Miri and manymanymany bottles of home brewed beer and kicking out the last guest at 4.45am. Hooray for Coffee! Tamara and I at Halloween. Tam is also novelling! The Regina nano-ers are numerous but very much centred around the university, so I have been attending the downtown and weekend write ins, but I have yet to summon the energy to find a bus in the snow to the university on Wednesday evenings. Nevertheless, I have met some fantastic people through it already and I’m looking forward to what is promising to be a suitably silly Thank God It’s Over party. Someone is knitting us prizes, apparently. 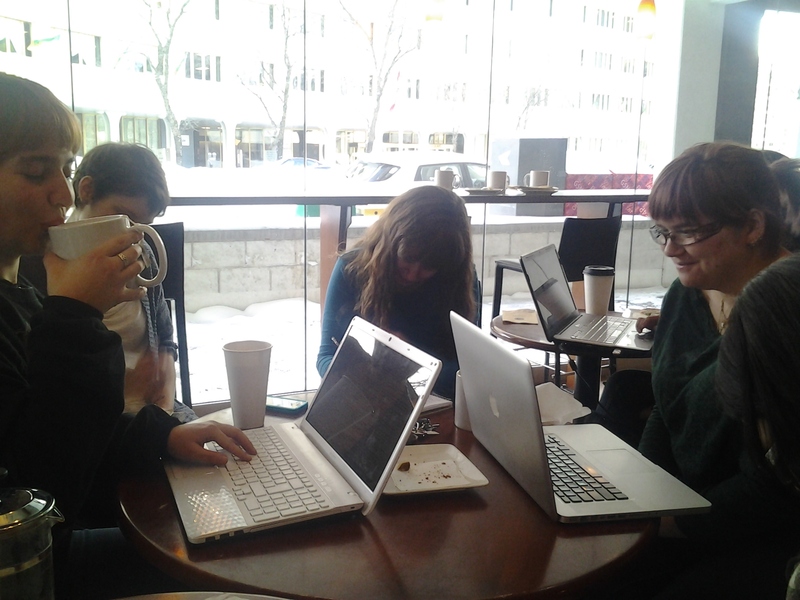 A few of the Regina Nanowrimo crew, all studiously avoiding the camera. There are also several others hand writing their novels. 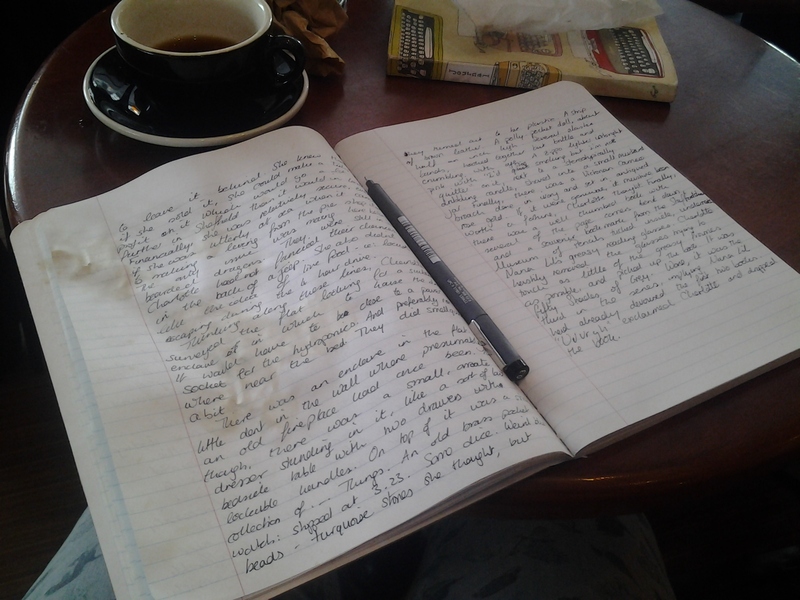 I am hand writing again, because a notebook can be secreted into my bag so I can write in obscure moments wherever I am, which is not something you can do with a laptop. The downsides are, it’s slower and counting your words is an arse. I take an average of 200 words a page, given the size of my writing! My novel. 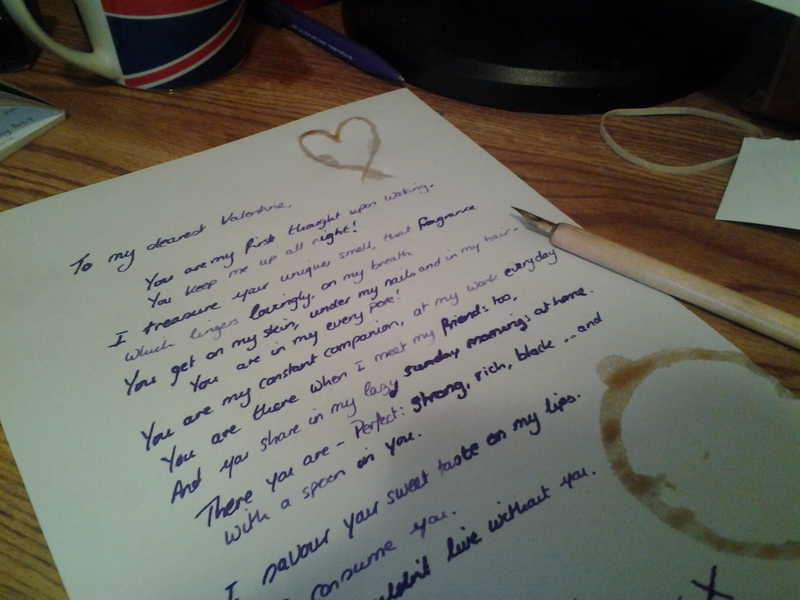 And yes, that is a coffee stain on it. Winter has set in now, there is considerably more snow now than this time last year. According to the radio, today is was -12C but “feels like -23C” because of the wind chill. I know it will get a great deal colder than this yet, and we should start measuring snow in feet not inches, – yes, everybody warns us – but I feel we are adapting well so far. We’ve invested in Proper Snow Boots and a shovel, and are enjoying it all! This much snow is still exciting for us winter-starved British. Miranda loves stomping in snow, but at the moment it comes up to her chest! We could lose her in the drifts in the back garden quite easily…. However, the cold is only an excuse to wear even more silly Novelling Hats, and as long as I can still trudge to Atlantis coffee shop for the write-ins, I can sit and write in the warm drinking a huge amount of hot coffee, and delay coming back home in the cold by another 500 words or so…. Warning: Political Ranting to follow! My Twitter stream is still populated mainly by UK friends and businesses. As we still have no TV, they, the BBC news website and the iplayer are my only sources of world current affairs. Even so, it makes depressing, (and in the case of Twitter, amusingly sarcastic) reading. I spoke to my parents via a Google hangout at the weekend, we were talking about selling our house (still no hope on that front), and sorting out extensions to our visas and work permits (I know it seems like we’ve only just got here, but the first ones took nearly five months to process! If the same happens, we’d better start reapplying as soon as possible!!). The Parents were not exactly very positive about the UK. The housing market is apparently getting worse and worse. We bought our house in 2004, we have 17 years left on our mortgage(!!) and now the only offers we’re getting from buyers are a full THIRTY THOUSAND POUNDS LESS than what we paid 8 years ago. It’s not even a horrible house, its a 2 bed semi with a garden (and a SAUNA! ), it’s just in a region that always has been severely economically deprived, and is only getting more so. The only people who can afford to buy a house in the UK nowadays, are not the sort of people who want to buy in the North-East. Dad reports that whole towns in their area are just shutting down, only charity shops, kebab shops and Poundland left in some places – and of course, those pariahs of modern Britain, the pawnbrokers, the Cash-For-Gold places and the payday loans shops. Incredibly depressing. A job was advertised for the manager of a charity shop, and had 45 applicants. This says a lot. 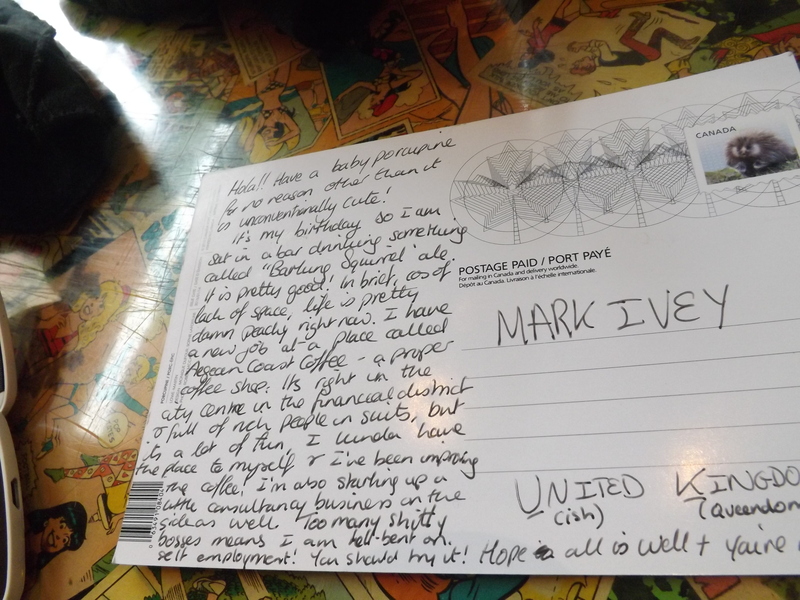 Meanwhile, letters and tweets from my wonderful, talented, personable, intelligent, responsible, creative and reliable friends are also filled with negativity – the depression and loss of confidence caused by years of frustrating unemployment. The Daily Mail ran the story recently of a girl who committed suicide after receiving her 200th job rejection letter. I know I started my own business in 2009 because I couldn’t face the soul-destroying post-university unemployment AGAIN, but by the sounds of it, it has got even worse since then. And now, Twitter, and the online version of Newsnight inform me that there has been a Cabinet reshuffle. The most telling tweet? New cabinet composition: 4/29 women, 29/29 white, 19/29 attended Oxford or Cambridge. Monocultural Britain. Jeremy Hunt, who’s only really positive contribution during his time as Culture secretary was to provide us all with a new bit of Cockney rhyming slang, who utterly ballsed up with Murdoch and BSkyB, and who tried to block the NHS celebrations at the Olympics opening ceremony is now Health Minister. This means he gets out of dealing with the fall out of the Leveson inquiry AND Andrew Lansley avoids implementing the NHS policies he was universally loathed for dreaming up. Worse still, former employment minister Chris Grayling from DWP – that’s right, the Department of Wankers and Penpushers whose bureaucratic nightmares have resulting in such a failing in the welfare system that 200,000 people were forced to use the Food Bank last year despite half of them actually being in work (according to Newsnight! )- and the man who brought in ATOS, the company that terrorizes the disabled and mentally ill and who famously deemed a partially paralysed woman ‘fit for work’ is now Justice secretary. That is an irony far too bitter for me. Even worse, George Osborne is still Chancellor. He wasn’t really likely to be moved, but this (from Twitter) did amuse me: Apparently, Osborne was booed by 80,000 people when he attended the Paralympics medal ceremony. Why 80,000 people? Because the stadium doesn’t hold any more. The UK is truly fucked. My Mum said, “don’t even think about coming back!” – I assume that wasn’t an insult. Don’t worry, we won’t. Meanwhile, there was an article in the Canadian Globe and Mail about student tuition fees costing a whole $5000 a year here, and how students are protesting in Quebec….. Quelle Horreur!